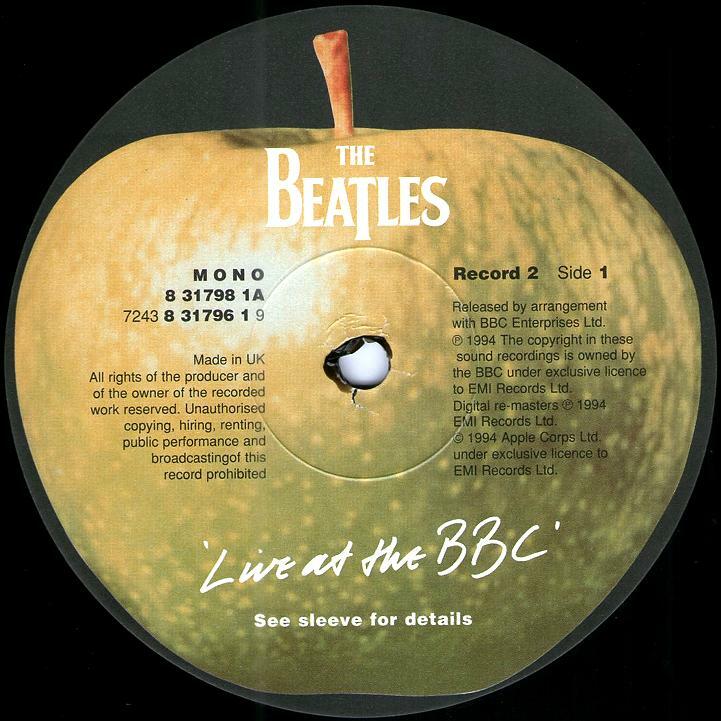 Live At The BBC, Apple PCSP 726. 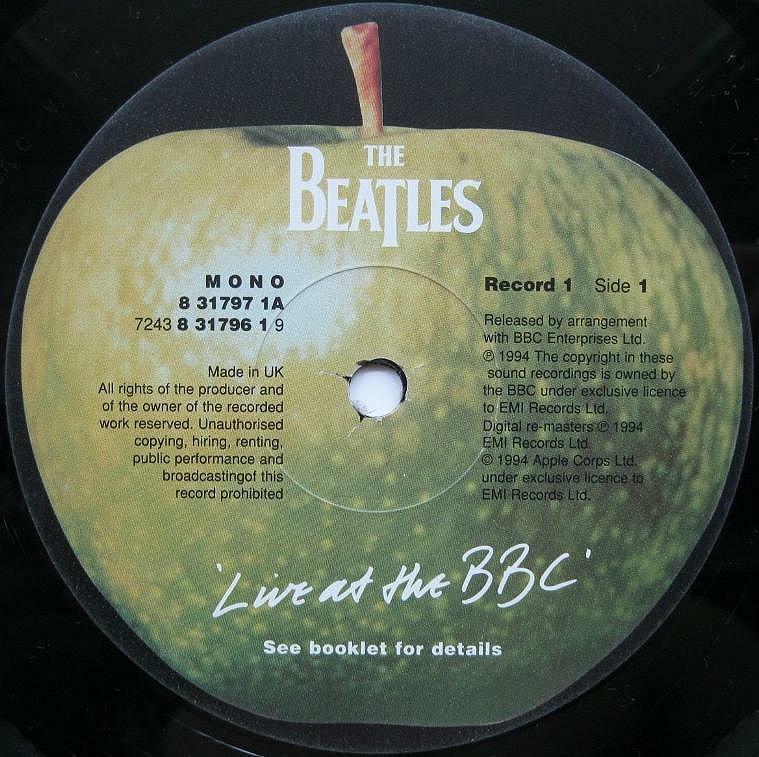 Release December 6, 1994. 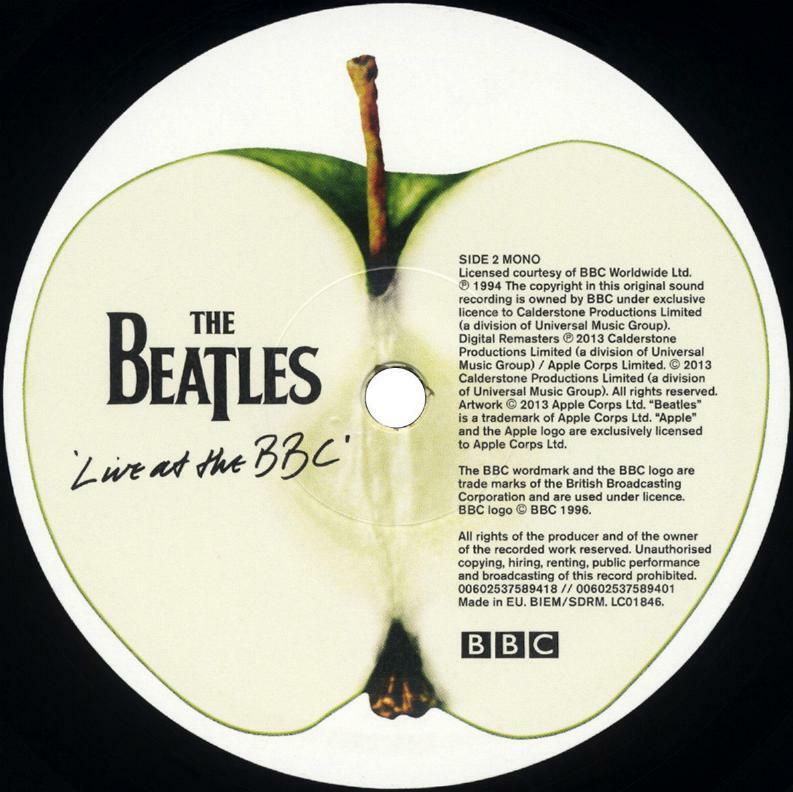 This the first album to appear on apple label in over two decades, these 56 songs were recorded when The Beatles appeared on BBC Radio, many of them specifically on their own programm Pop Go The Beatles that was broadcast every Tuesday at 5pm through the summer of 1963. 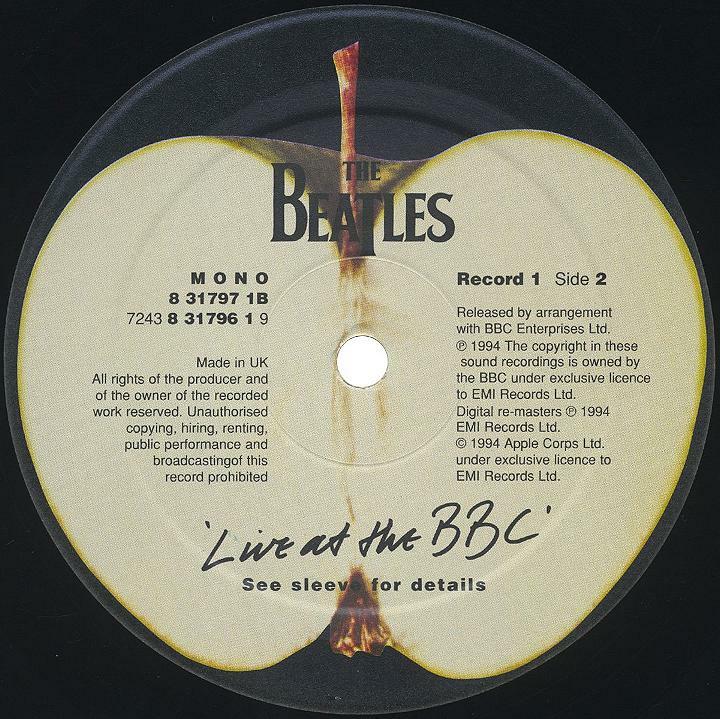 Other BBC shows they appeared on, and represented on the double album, include Easy Beat, Side By Side, Top Gear and Saturday Club. 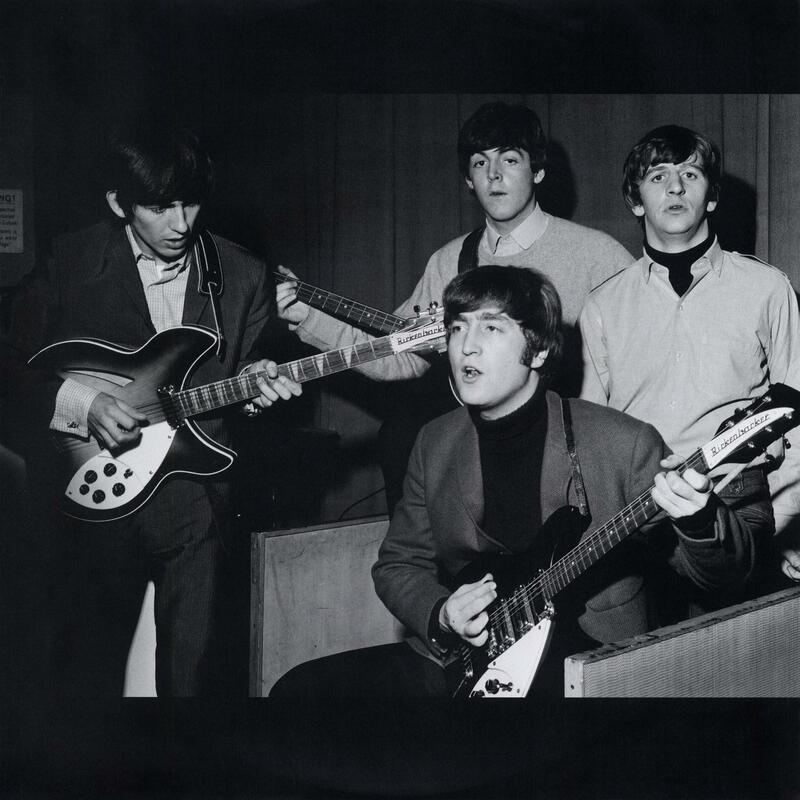 The bulk of the material was from the group’s vast repertoire of non-original material that typified their stage act when they played long sits in Hamburg and Liverpool, only a tiny proportion of which saw onto their studio recordings in the 60s. 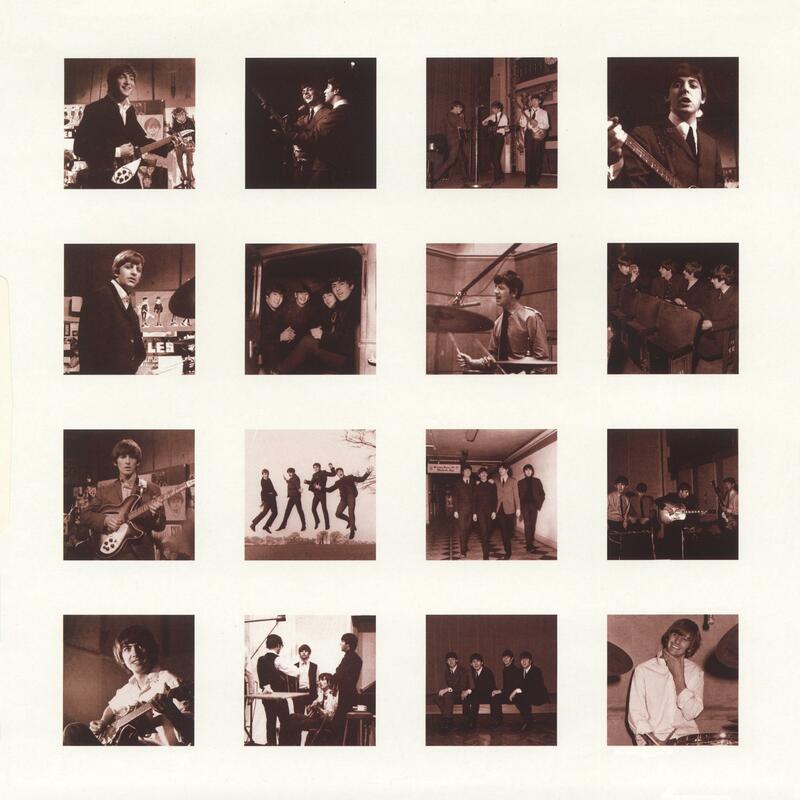 First pressing December 6, 1994. 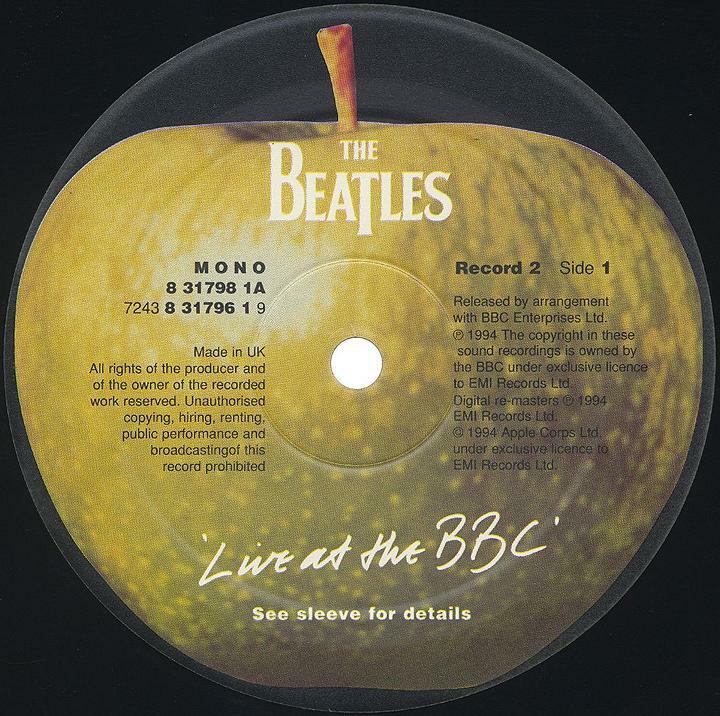 Unlaminated sepia gatefold outer sleeve with Apple logo on the back side. 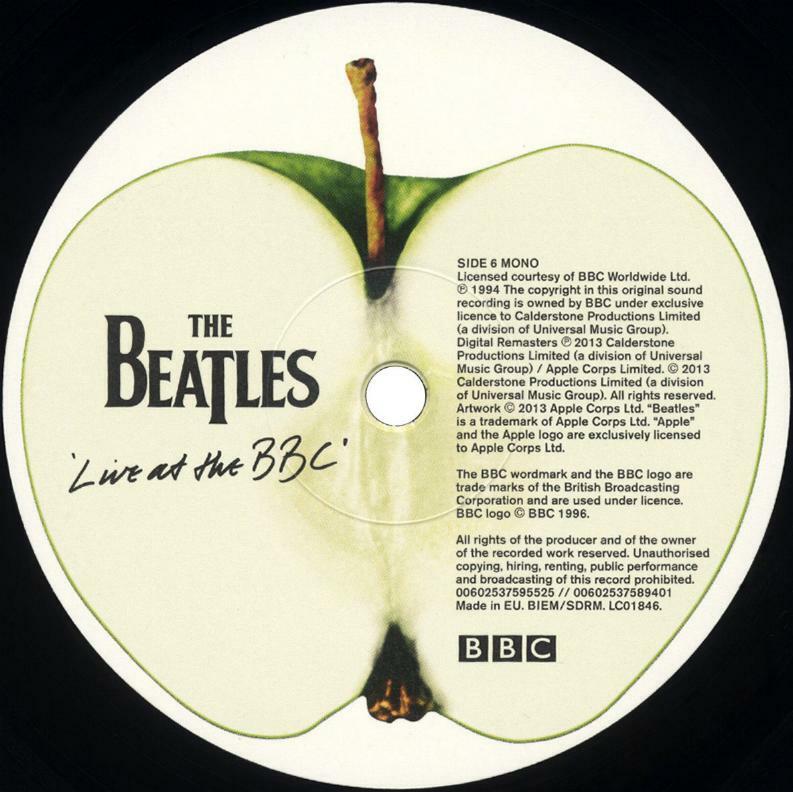 The cover photo was taken outside the BBC Paris Theatre in London’s Lower Regent Street. 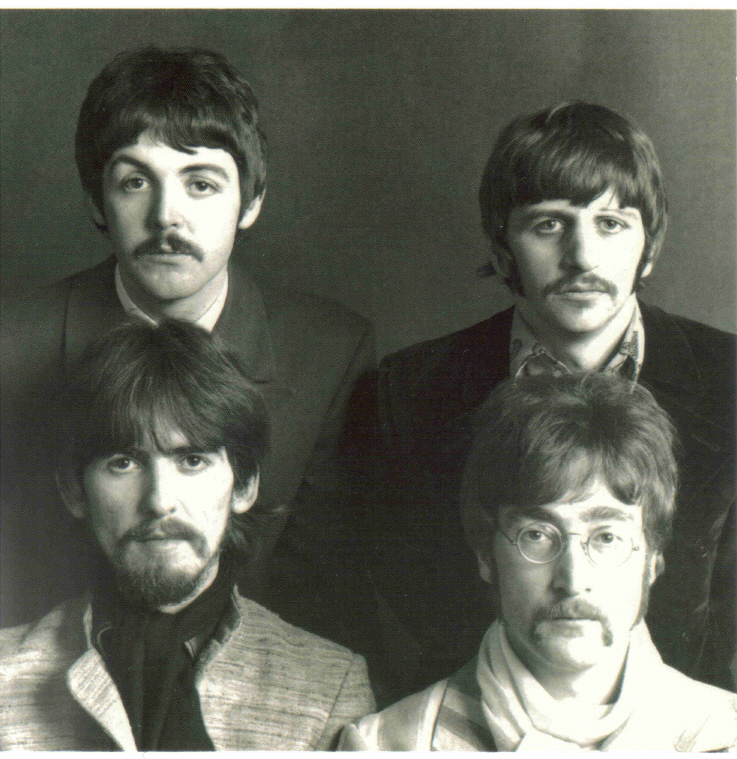 The back photograph was actually a paste-in job using the same background but a different shot of the Beatles. Records are housed in original white and sepia picture inner sleeves. The labels are characterized by a new design. 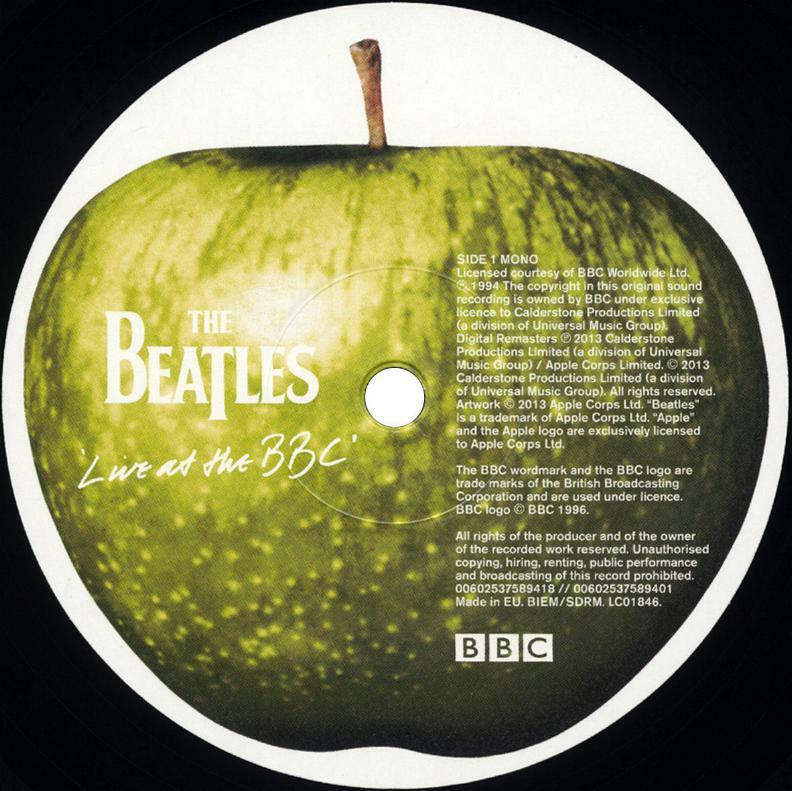 Now glossy labels have Apple logo on a black background without perimeter print, the copyright text is moved into the middle of the apple. On the early labels, we can see the mistake inscription “See booklet for details”. 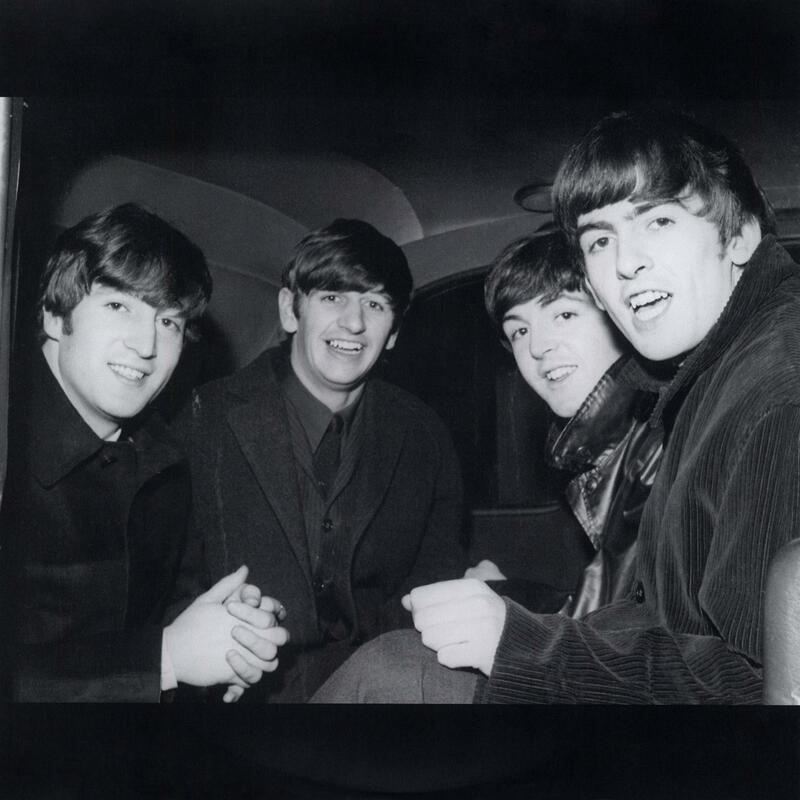 It can be assumed that originally planned to release an album with a booklet. But the plans have changed in favor of the internal sleeves, which used for posted all details. 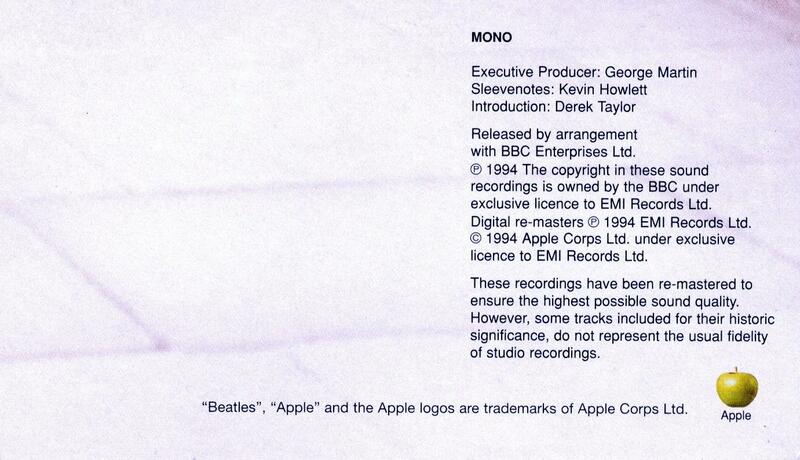 This error was quickly corrected, and all subsequent editions have the correct label with “See sleeve for details”. We have no information that there was a time gap between the appearance of these two variants of these labels. Most likely they were printed at the same time and the error was corrected in the production process. 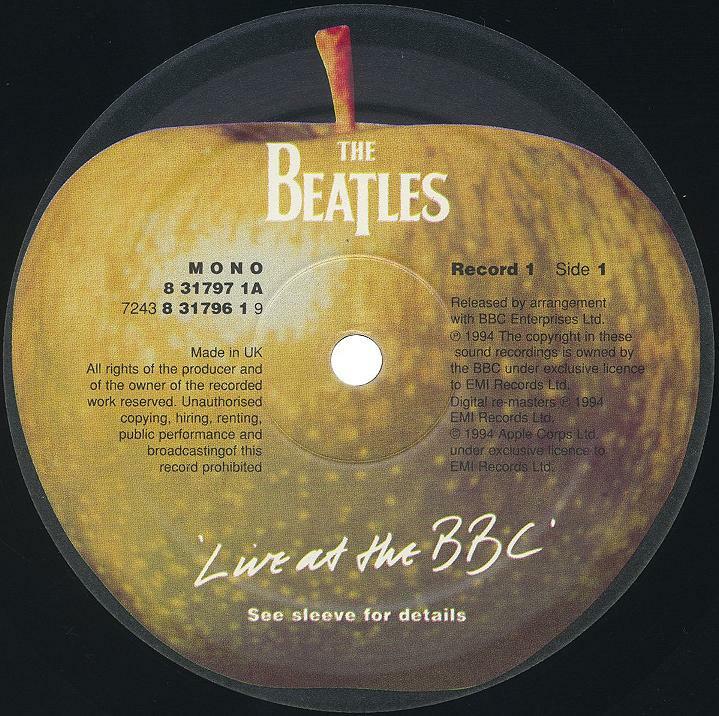 There are various crossover combinations of these labels included in the kits of the albums. Variation 1. 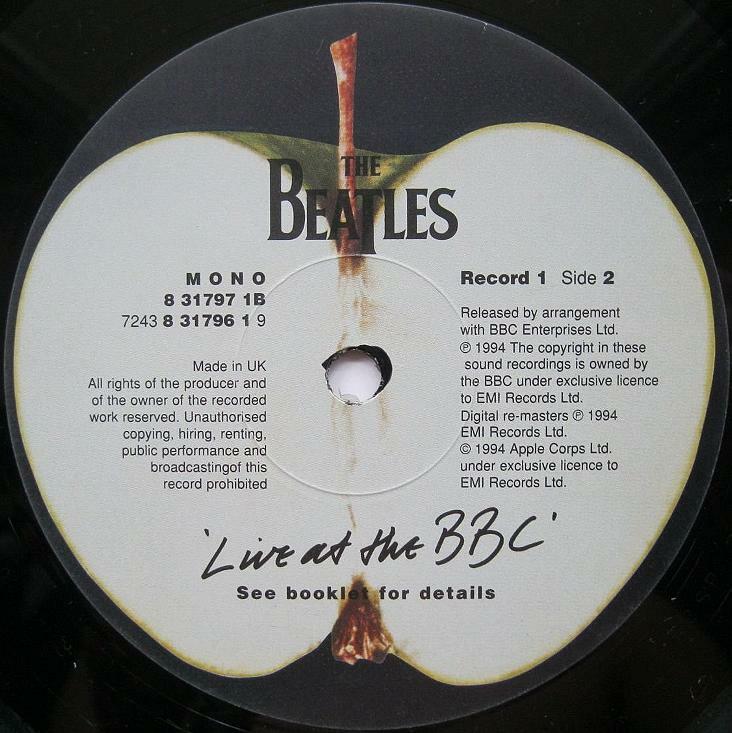 Early pressing with “See booklet for details”. 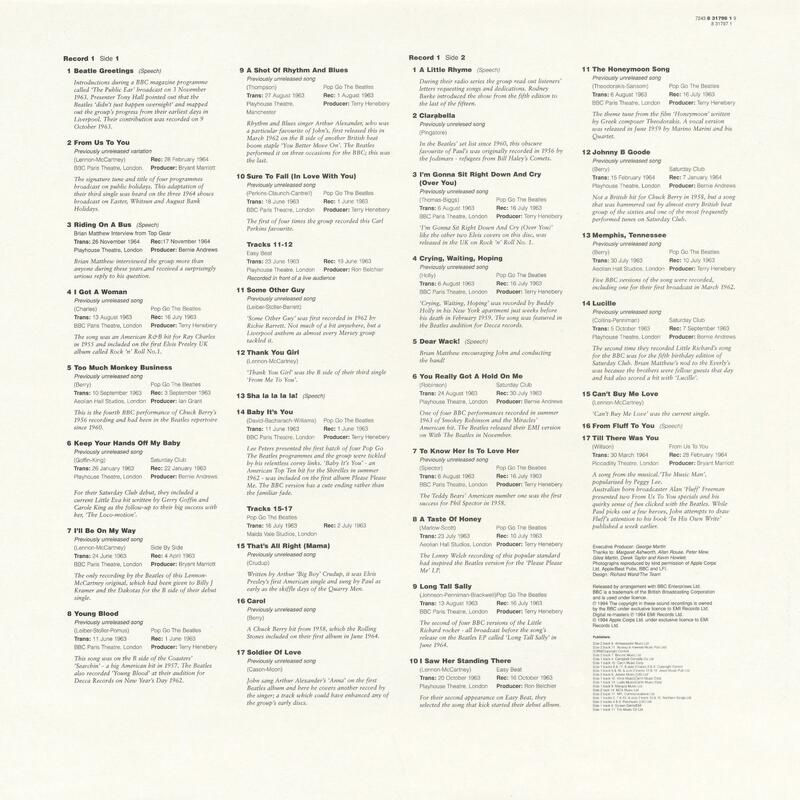 Matrix numbers: Record 1 – Side 1: PCSP 726 A-01-1-1; Side 2 PCSP 726 B-01-1-1: Record 2 – Side 1: PCSP 726 C-01-1-1; Side 2: PCSP 726D-01-1-1. Variation 2. Late pressing with “See sleeve for details”. These labels are noticeably more yellow. 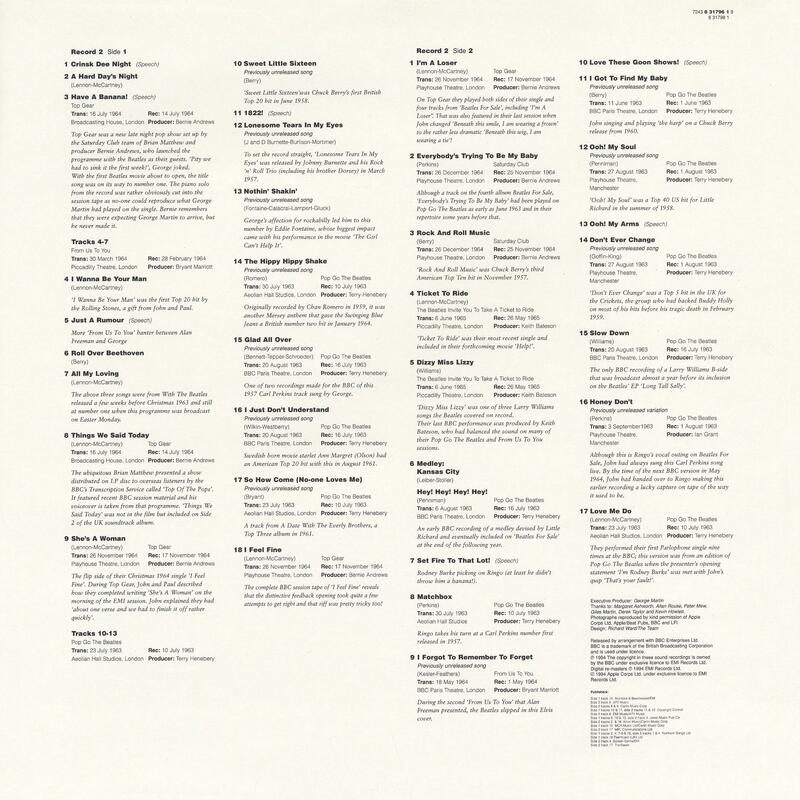 Matrix numbers: Record 1 – Side 1: PCSP 726 A-01-1-1; Side 2 PCSP 726 B-01-1-1 (or -2): Record 2 – Side 1: PCSP 726 C-01-1-1; Side 2: PCSP 726D-01-1-1. 2. Second pressind, early 2000s. 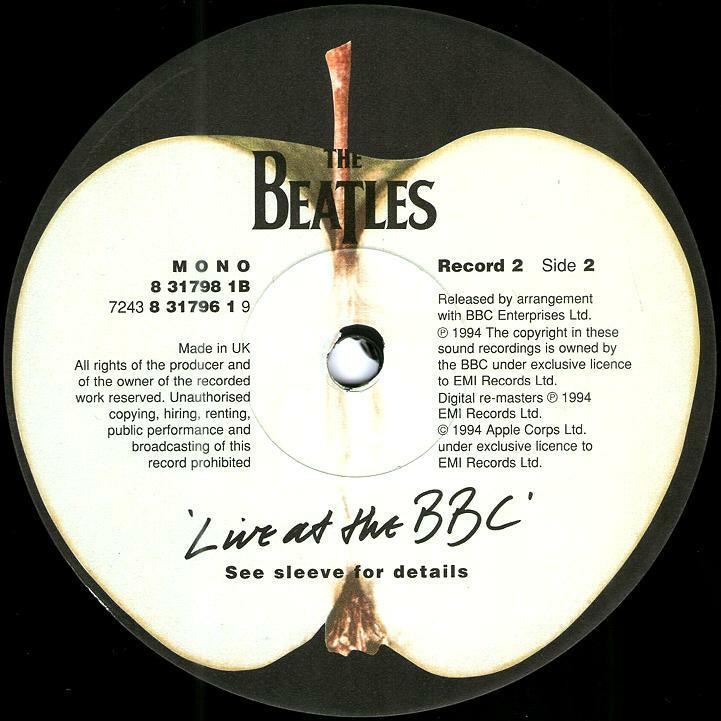 New gatefold outer sleeve is characterized by the appearance of a new copyright text opposite of the Apple logo on the back side – “Beatles”, “Apple” and the Apple logos are trademarks of Apple Corps Ltd”. 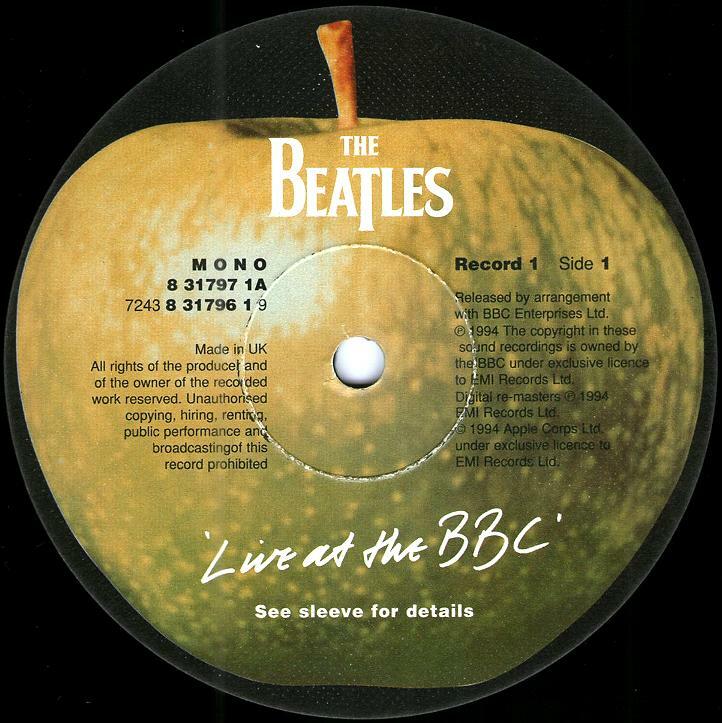 Live At The BBC, Apple 00602537589401, remastered version. Release November 11, 2013. The 3Lp’s remastered reissue features some minor changes in the track listing and editing. 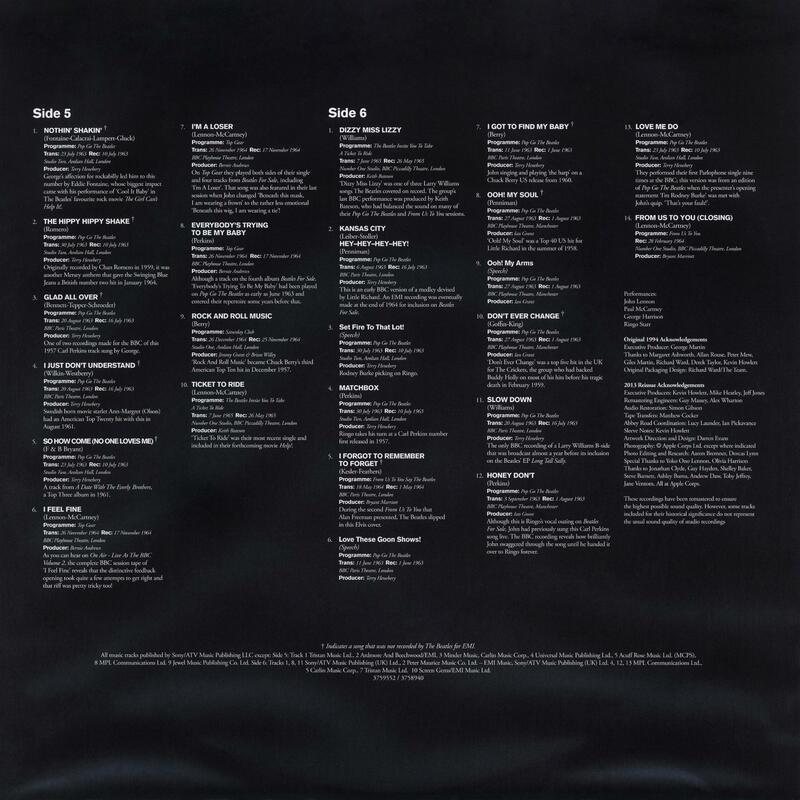 Most noticeable are the inclusion of three extra tracks. The only musical addition is the closing version of “From Us To You” at the end of disc two. 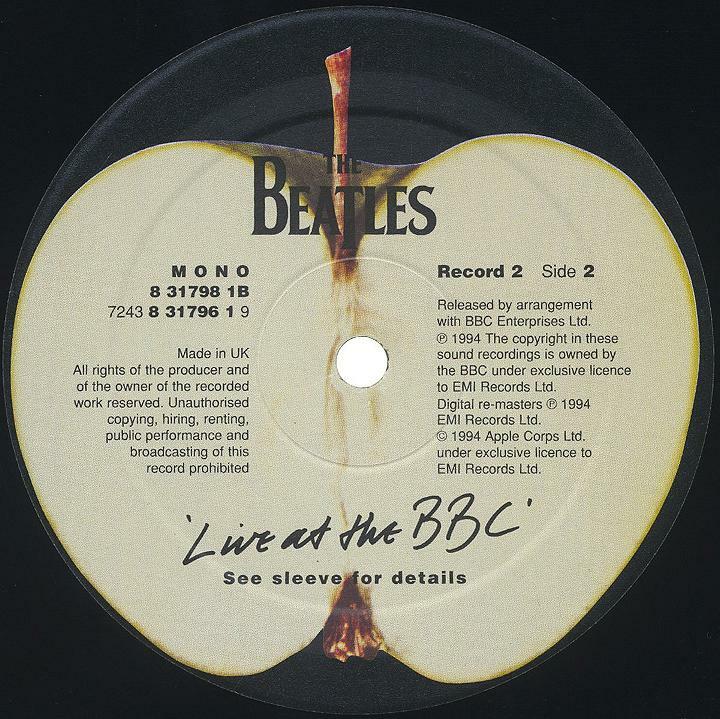 “What is it, George?” is a new speech track incorporated between “Carol” and “Soldier of Love” on disc one. 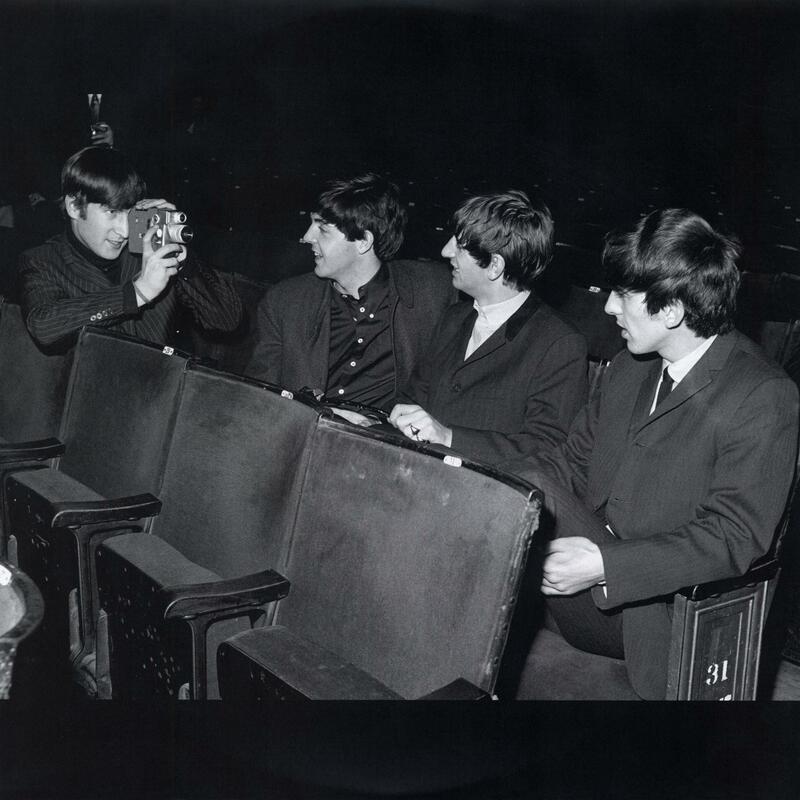 The speech track “Ringo? 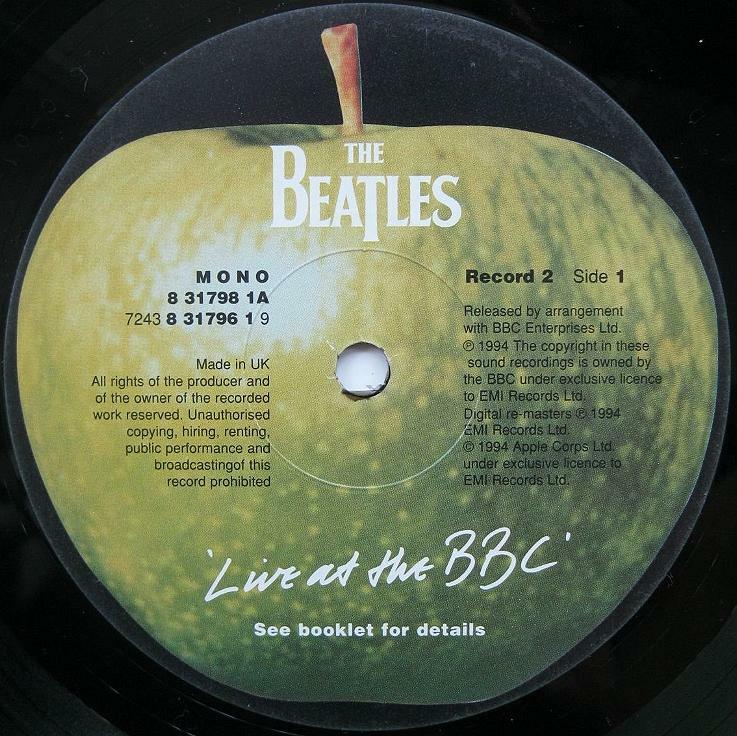 Yep!” is a new addition to disc two, replacing “Have a Banana!” as track 3. The majority of “Have a Banana!” has been incorporated as the end of the previous track, “A Hard Day’s Night,” but the phrase itself, which gave the original speech track its title, has been omitted. The new sleeve is markedly different from the original edition. 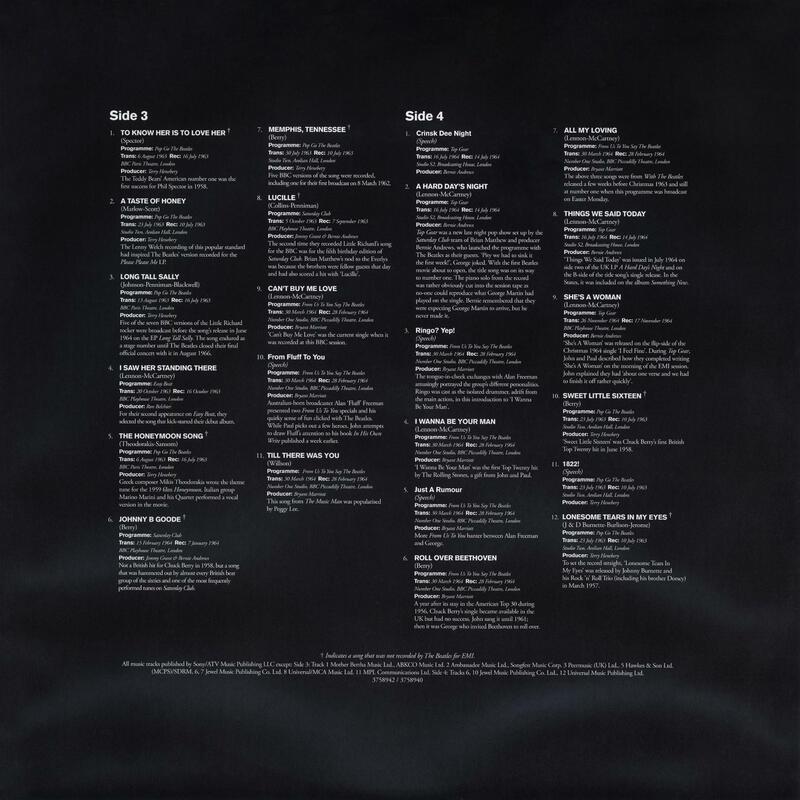 Now this is the three gatefold black and white sleeve with Apple logo on the back side. 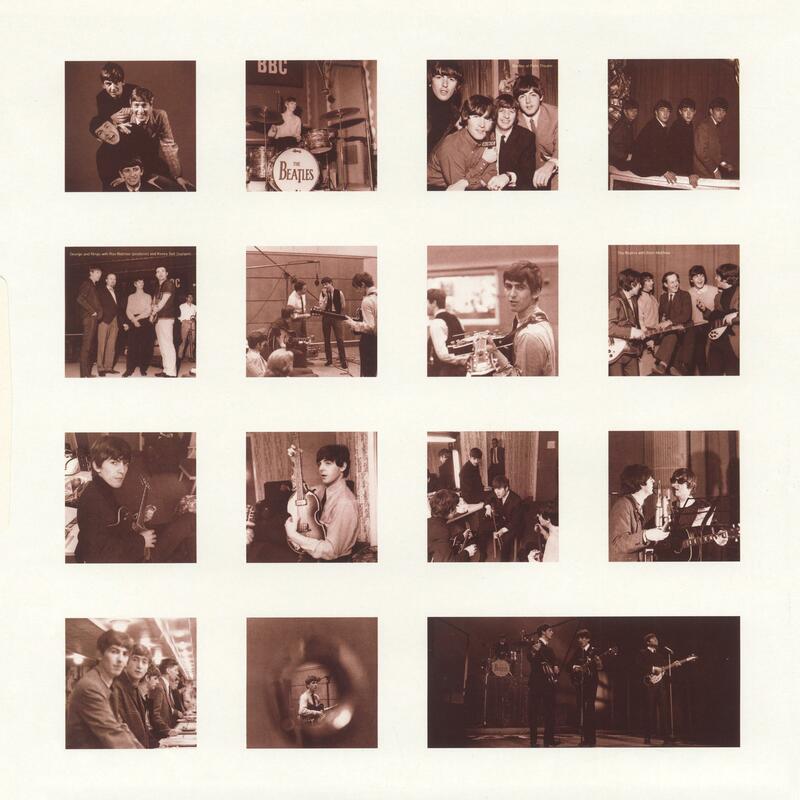 The front side has the same photo The Beatles on London’s Lower Regent Street, but the design was further changes. 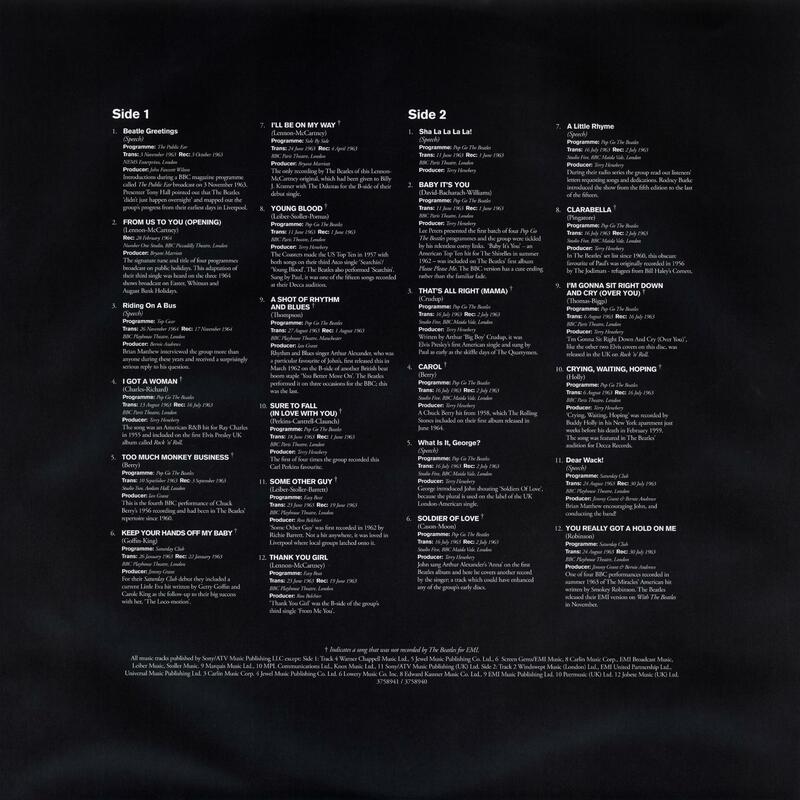 Records are housed in original black and white picture inner sleeves. 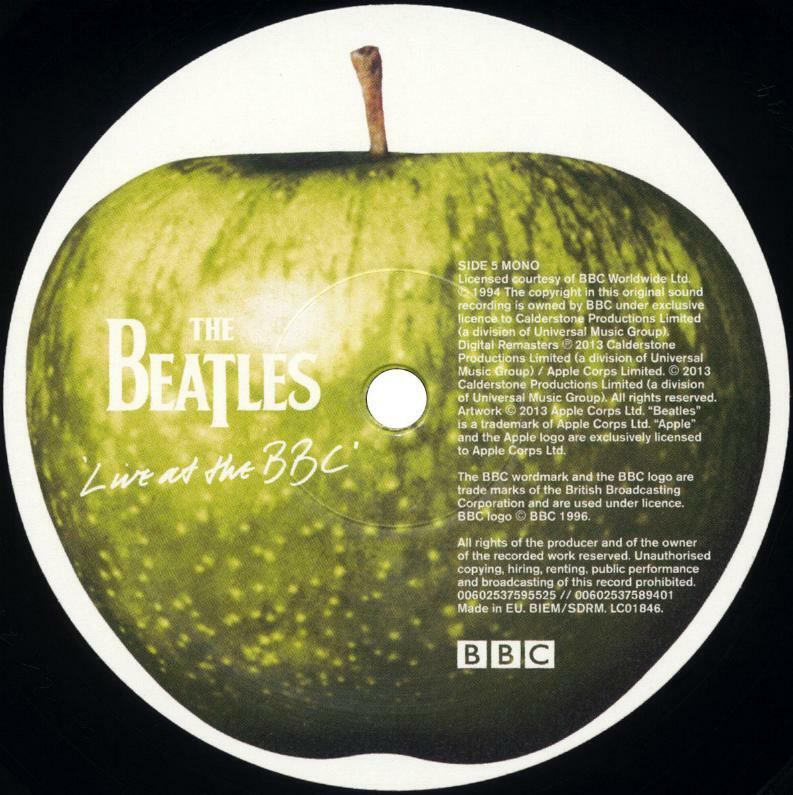 The labels are characterized by a renew design as on The Beatles Anthology. Now glossy labels have Apple logo on a white background without perimeter print,the copyright text is appeared into the right side of the apple. Matrix numbers: Record 1 – Side 1: BD29250-01-A1; Side 2: BD29250-01-B1; Record 2 – Side 1: BD29250-02-C1; Side 2: BD29250-02-D1; Record 3 – Side 1: BD29250-03-E1; Side 2: BD29250-03-F1.